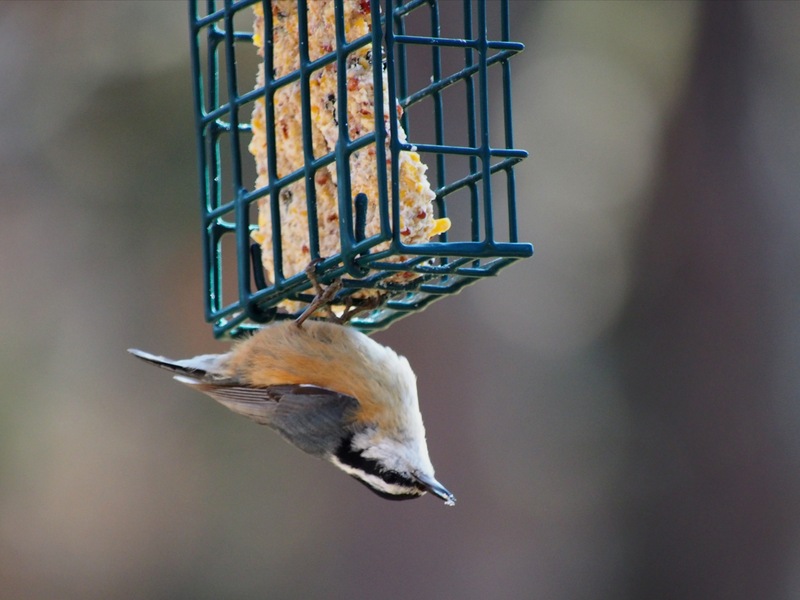 The Stone House Bird Buffet is proud to host a troupe of world class acrobats on their southern tour of North America. 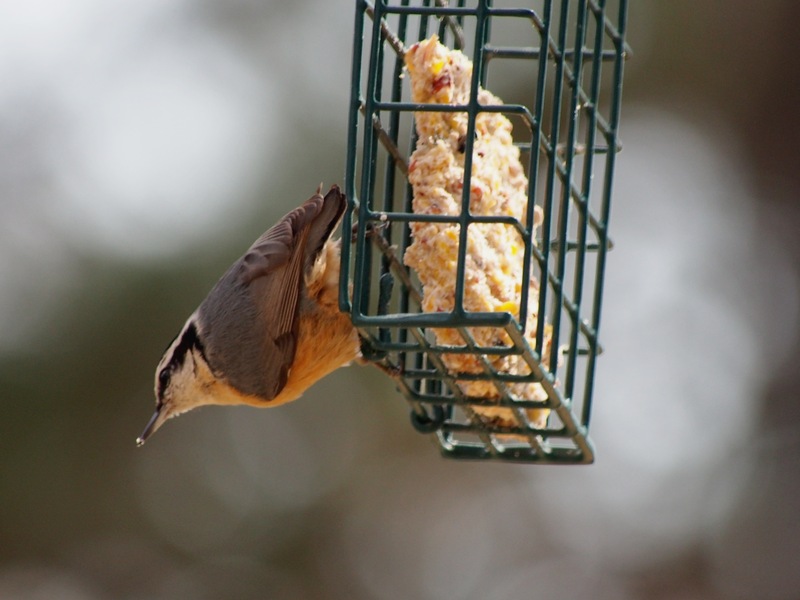 Direct from Canada….the Red-Breasted Nuthatches!! 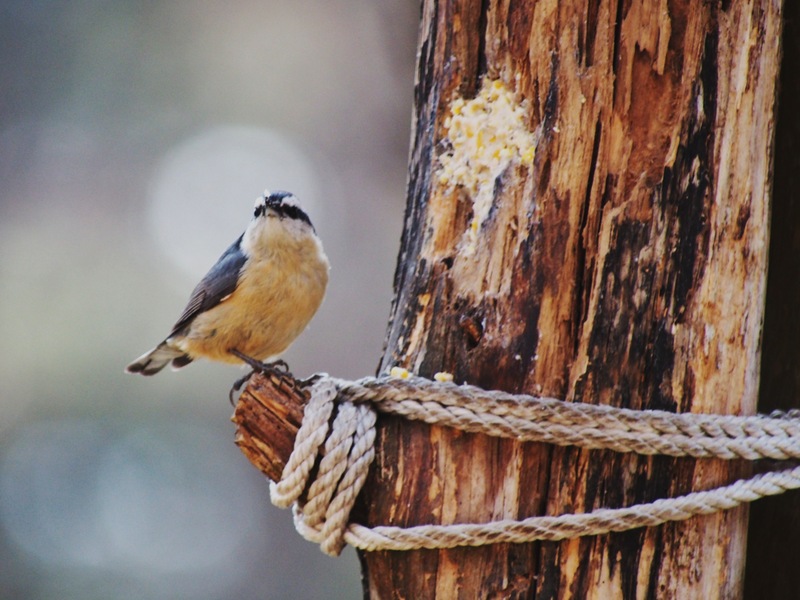 This entry was posted in birds, Ozarks, Photography, wildlife and tagged acrobats, bird feeding, Canada, Olympus, Olympus E-M5, Ozarks, photography, Red-breasted nuthatch by artsifrtsy. Bookmark the permalink. watch out cirque du soleil! great shots. They are very acrobatic birds, we had one nesting in the creeper that used to be on the back wall of our house, and it got itself into some very curious positions! 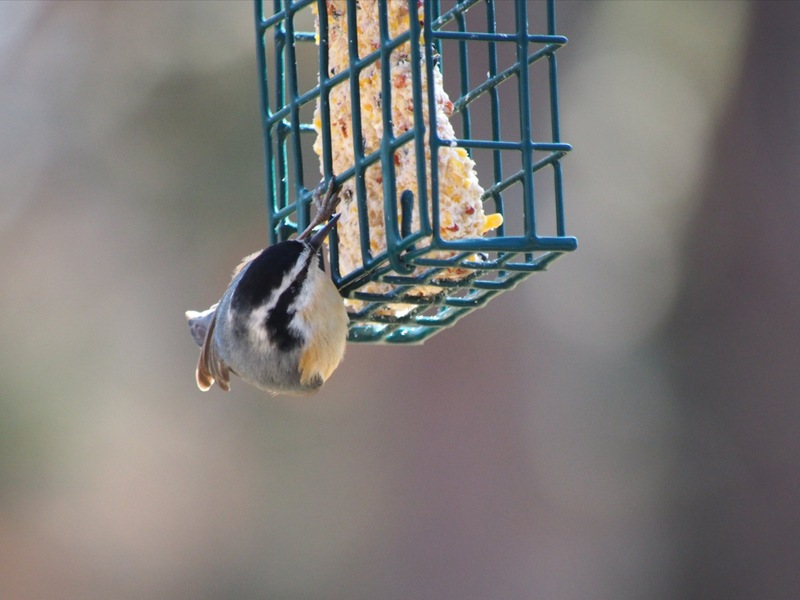 Your critters must love you and cooperate to show their thankfulness for the grub. Great shots! They love a fresh and well stocked buffet 🙂 Thanks! Great series and I love your comments. 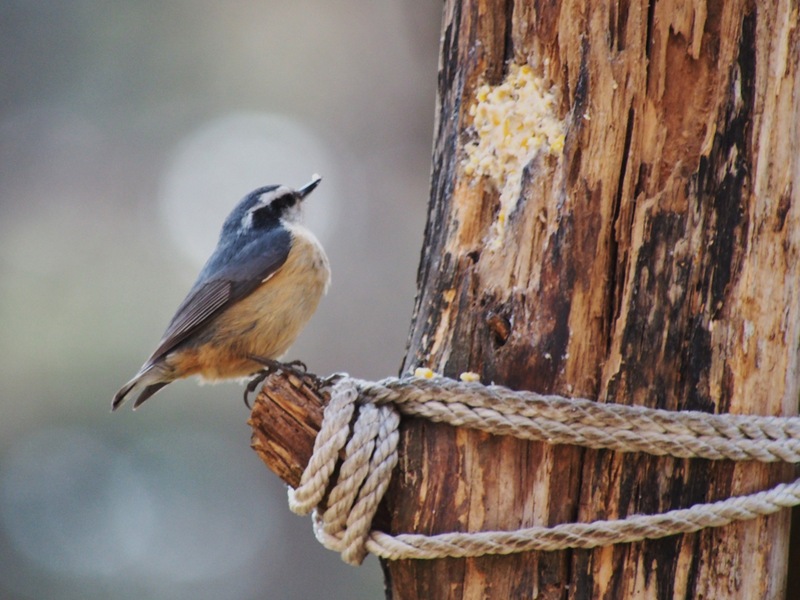 We don’t get nuthatches in Australia (to my knowledge) – they’re a pretty little bird with their blue/grey coats and eye stripes – and their gymnastic displays are prizewinning (as you’ve shown). Thanks Vicki – I wonder why they do all that posing – they also seem to love to be upside down. 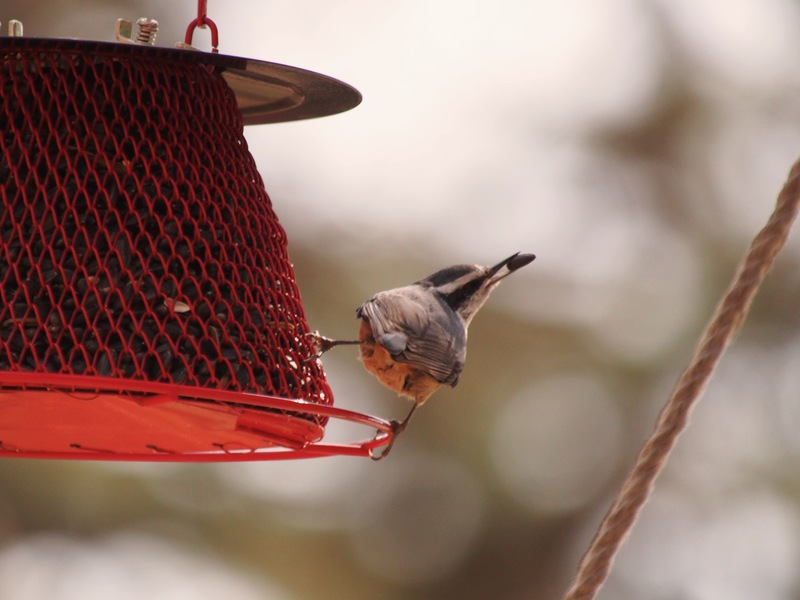 Bird Olympics, unlike their human equivalents, are wonderfu! I think they are just passing through the Ozarks – I’m sure they are headed your way soon. Great pictures! 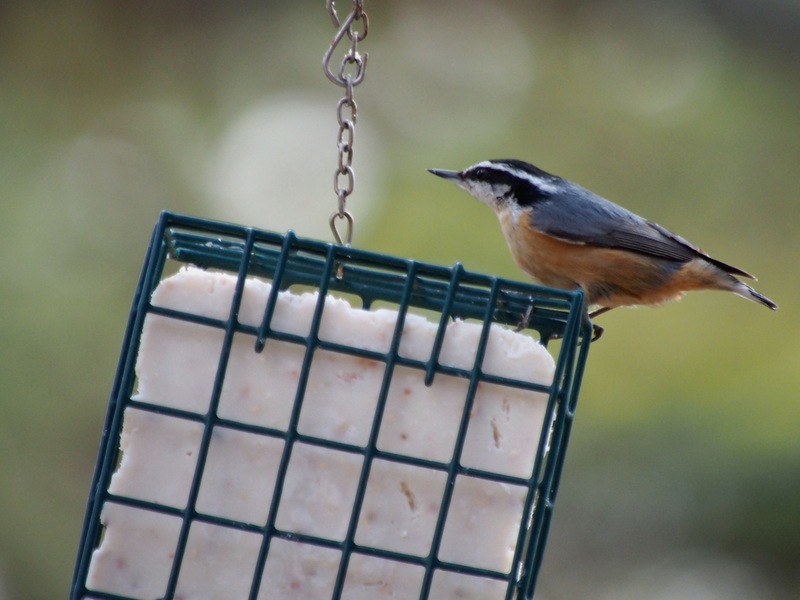 I love watching mine (yes, I consider them mine) going all over the apple tree, suet and feeder. They are so much fun to watch and they are good about sharing. Thanks Lorri! Of course they are yours, I have such responsibility for my flock. They really are a joy to watch. Canadian birds and humans alike know that if we really are to reach the pinacle of stardom, we have to prove ourselves in the USA! 😉 Great photos as always Lorri! Thanks Diana, these guys are tearing it up in the US of A! This is so great — love your presentation! I’m going to give you a 10. LOL – a perfect score? I think he earned it. Kathleen, I love ducks, I saw a couple of pairs over at Holiday Island today, but couldn’t get close enough for a good shot. 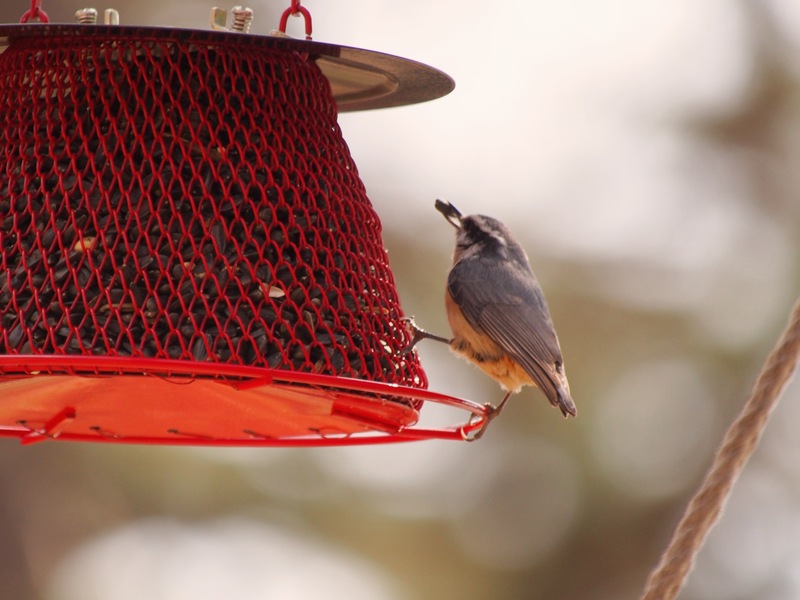 Our red-breasted nuthatches are just as entertaining. 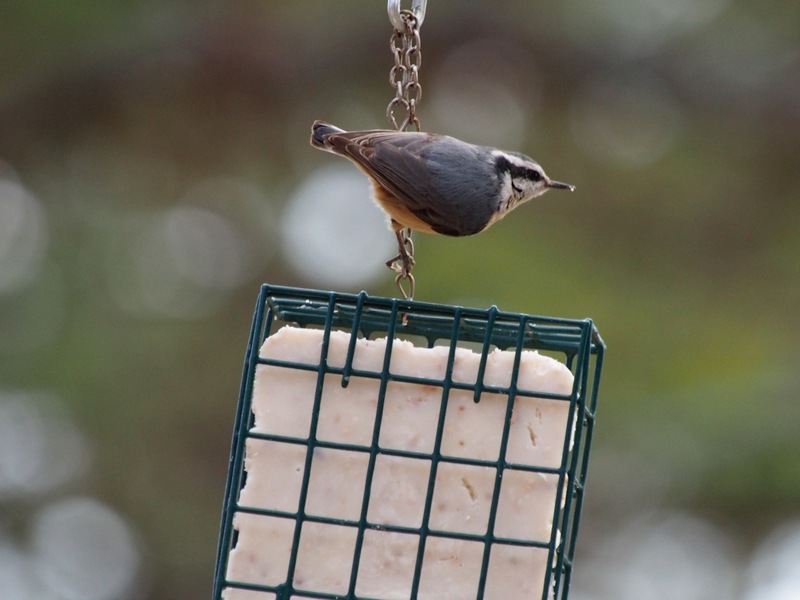 One reason I like them is that they have no problem sharing the suet with juncos, downies, and other birds.